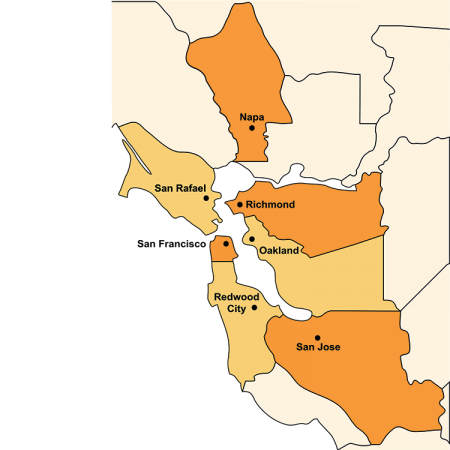 BayLegal is currently accepting applications for a Disability Rights Staff Attorney position in our Alameda County Office, located in Oakland. We seek an energetic, culturally sensitive attorney with a strong commitment to disability rights and social justice advocacy to represent individuals with mental and physical disabilities in their applications for Social Security/SSI benefits. This includes conducting client interviews, completing social security/SSI applications, gathering supporting medical and other evidence, negotiating with governmental agencies, and representing clients at administrative hearings, before the Appeals Council, and in federal District Court. The attorney will also, at times, represent clients in CalWORKs, General Assistance, Medi-Cal, IHSS, and/or other public benefits/health related matters. S/he will engage in policy work in areas that affect our clients’ rights, participate in community collaborations, and engage in community outreach and education. The attorney may also be required to travel to off-site locations including clinics, community partners and Santa Rita jail. Compensation is based on a competitive public interest salary scale. Position will be eligible for medical and dental benefits. Bay Area Legal Aid thrives on our diversity and we are proud to be an equal opportunity employer. We are committed to building a culturally diverse workplace and strongly encourage women, persons of color, LGBTQ individuals, veterans, persons with disabilities, and persons from other underrepresented groups to apply. Review of applications will begin immediately and continue until the position is filled. Applicants are encouraged to apply as early as possible. Please send cover letter, diversity statement (see BayLegal.org/employment for details), resume, references, and writing sample to Human Resources at jobs@baylegal.org. Please reference Alameda County Disability Rights Staff Attorney in your application.